In May 2018, two members of PAL team, Ahlam Tarayra and Sameh Arikat, had a speaking tour in Sweden and Denmark to talk about PAL’s work under occupation and the challenges of animal rights activism within the Palestinian context. The team was hosted in the cities of Copenhagen, Gothenburg, Stockholm and Malmo by the Animal Rights Alliance (Djurrättsalliansen). Around 100 people attended the lectures, many of them were animal rights activists. The presentations elaborated on the context where PAL emerged focusing on the Israeli occupation related problems including lack of sovereignty and environmental degradation that damage the Palestinian life in several ways and have a direct harmful impact on animals, as well as the cultural and legal challenges within the Palestinian system as obstacles for a friendly environment for animal rights activism. PAL team, and during their tour between May 17 and May 21, also addressed the PAL International Solidarity Groups’ significant contribution, through raising funds and awareness, to the parent organization and are part of the overall mission of the Palestinian Animal League, whose office is located in the West Bank of the Occupied Palestinian Territories. In August 2018, PAL’s executive director Ahlam Tarayra visited Sweden again for meetings with animal rights organizations, such as Djurens Rätt and Se Sambandet, as well as activists to discuss the possibilities of cooperation in investigating the link between violence against humans and animal abuse in Palestine. She also participated in the Animal Rights March in Stockholm on the 25th of August.  It is worth to mention that PAL’s aim to empower people and help animals has developed through observing the damage the Palestinian children suffer, and express through violence against each other or against animals, all due to the prolonged occupation that inevitably has made the cycle of violence go down to animals, since they are the weakest of all. PAL is studying to conduct a study to further examine this and hence help promoting the intersectionality discourse in Palestine. PAL executive director Ahlam Tarayra, and PAL UK Solidarity Group member, Jasmine Owens participated in the Dublin Vegfest held on September 22 and 23 with two lectures and a stall in the exhibition area. The lectures, attended by around 60 people, have addressed intersectionality and veganism within the Palestinian context and the challenges of promoting both concepts as well as the possibilities of work from a cultural and religious point of view. At PAL’s stall at the exhibition area, amongst many exhibiters of vegan products from different countries, the team raised awareness and funds in support of PAL’s work for animals and people in Palestine. A petition created by PAL UK Solidarity Group titled “Vegan support BDS” was signed by 94 people visited Dublin Vegfest. The petition advocates for Boycott, Divestment and Sanctions (BDS) movement as the strongest possibility for an end to the occupation in order to enhance the environment for the rights of humans and animals in Palestine. The petition also asserts the importance of not taking part in Israel’s efforts to vegan-wash its crimes against human rights and animal rights alike. It is worth mentioning that the petition has reached 445 signatures on change.org at the time of writing this article.